Specialist schools supporting children with social, emotional and mental health difficulties, autism and complex educational needs. Our partnered financial services supplier. Click the services below to see more. 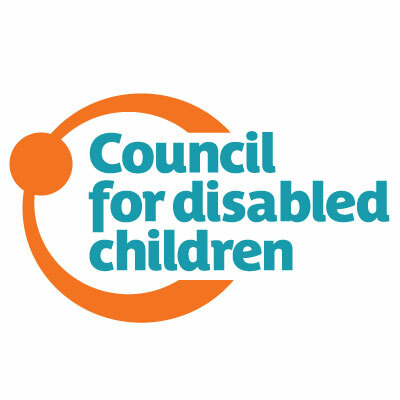 We are the umbrella body for the disabled children's sector bringing together professionals, practitioners and policy-makers. Our vision is a society in which disabled children and young people’s rights are respected, their aspirations supported and life chances are assured. "As a parent of a vulnerable child, it’s never too early to start to plan and prepare for the welfare of your child when you are not going to be around. Setting up a Trust can mean your child can continue receiving the government welfare they are due to as well as benefitting from your legacy. It could mean for example, they could stay living in the family home with support, after you’re gone. Just Wills & Legal Services Ltd is one of the leading home visit Wills, Estate Planning and Probate services in the country. We are members of the Society of Will Writers and The Professional Association of Legal Services therefore you are in safe hands. To find out more about Trusts and speak to one of our professional advisors please call 01342 477 102 and quote “Special Needs Trust”. Concept Training have over 20 years' experience in supporting people who care for anyone with special needs, through training and consultancy. Our specialisms include Autism, PDA, Learning Disabilities, ADHD and Mental Health issues. Our workshops are open to parents and professionals and we can create bespoke training courses for groups. We also provide consultancy for parents through "Skype" or home visits. STJ Projects Ltd are a family owned and operated joinery company serving many sectors. Our focused work within healthcare and mental health is ever increasing and we have gained vast knowledge and experience working with a number of NHS Trusts and private clients. Our services range from manufacturing and supplying one doorset to full scale supply and install of complete joinery packages and our team are experienced working within live environments. We work closely with other key suppliers and we are happy to discuss and aid clients to ensure we fulfil the requirements and needs. No job too small. Evenbreak is an award-winning specialist online job board run by and for disabled people. The employers who advertise their vacancies on Evenbreak are actively seeking to attract disabled candidates. You are welcome to register and have a look for jobs you would like. You might just find your dream job! Healthwatch North Lincolnshire is the independent consumer champion for health and social care locally. We listen to what people like about services and what could be improved. We use our statutory powers to ensure the peoples voice is strengthened and heard by those who commission, deliver and regulate health and care services in North Lincolnshire. We are Witherslack Group and we provide inspirational education and care to children and young people, resulting in life changing experiences and countless stories of success. We are the leading provider of specialist education and care for children and young people with social, emotional and mental health needs, communication difficulties (autistic spectrum conditions; Asperger’s Syndrome; speech, language and communication needs), ADHD and complex learning needs.